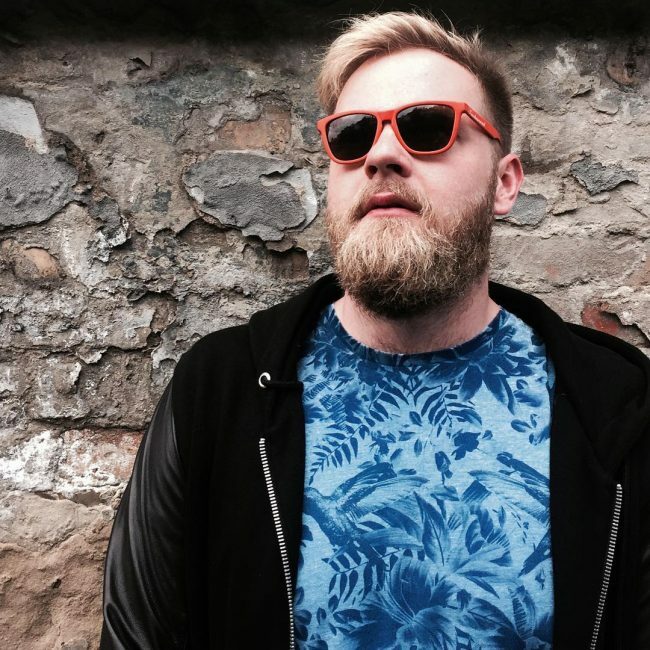 Blonde beard is the new black beard. A beard is a man’s jewelry and keeping it trimmed and maintained is what makes the beard look good. It is the perfect accessory to add ruggedness to your look. 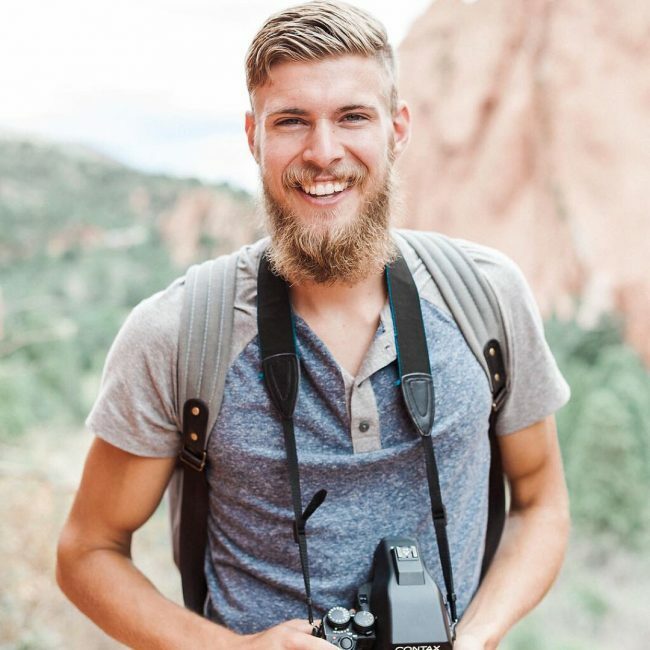 If you want to dye your beard blonde, here are 30 ideas to inspire you to take the gold route. Choose the style which suits your skin tone and matches your personality. Experiment with a lot of colors to make the look even more macho and stylish. The length of the beard is also very important as the wrong length can completely destroy the look and make it look messy and unkempt. 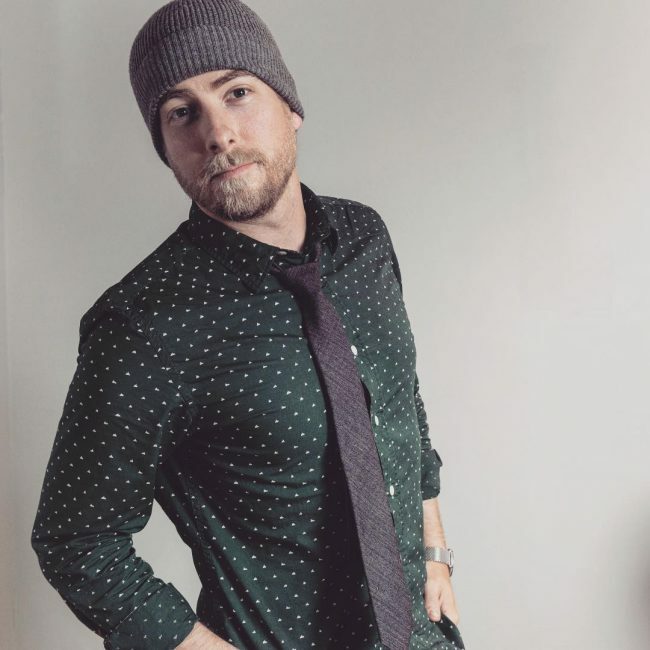 The look is perfect for men who like to keep a short beard. 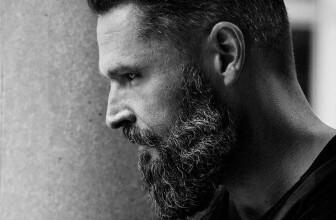 The layered length with shaded texture adds a style factor to the beard. 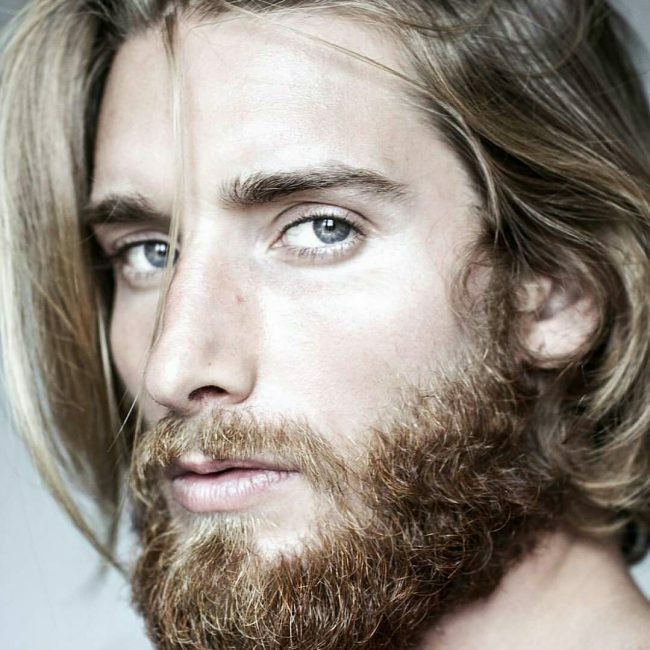 The honey blonde color with little strands of white gives an ombre effect to the beard. 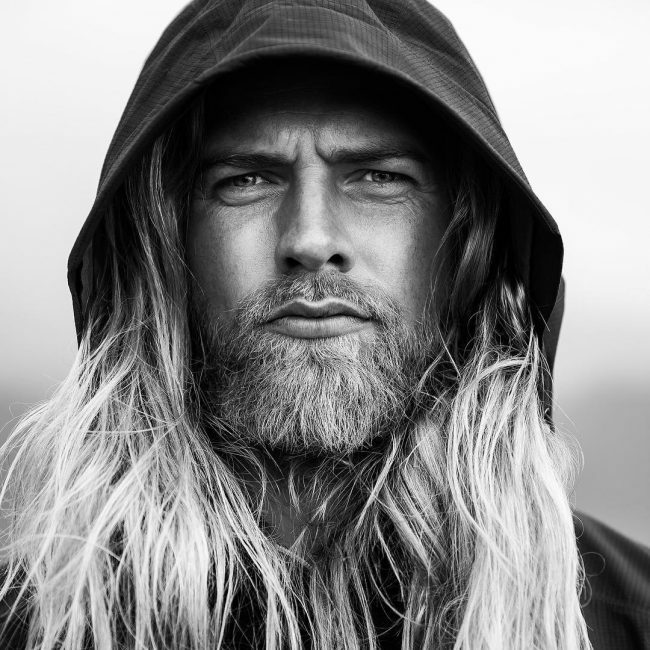 Channel your inner free spirit with this long hair and shaded beard look. It looks very bohemians and lends an artistic appeal to the look. The contrast between dark brown and light golden looks great. 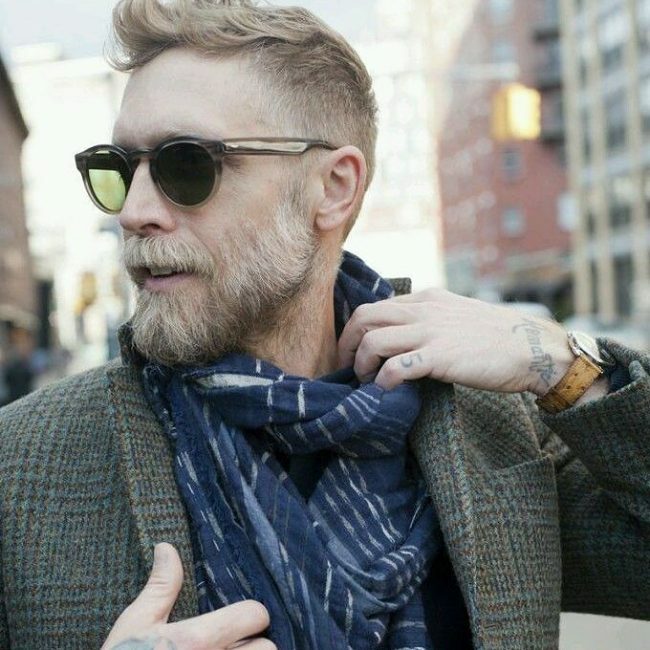 The unkempt beard in shades of honey with matching hair color looks great against fair skin tones. The side swept hair add volume to the style without looking overdone. Want to look classy and casual at the same time? This look is the answer. The honey blonde beard looks great against the perfectly slick hair. Choose from the many shades available in gold to see which one suits this frizzy look best. 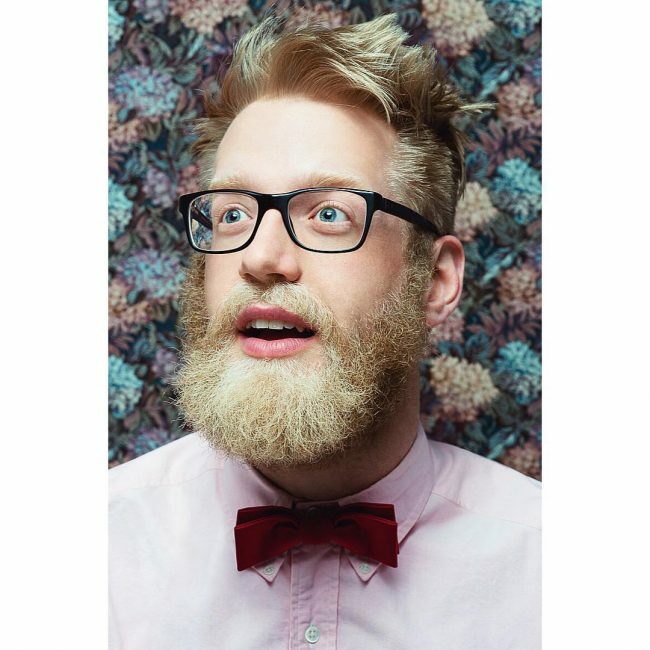 If you want to go all out on the blonde front, matching your hair and moustache color to your beard is a great idea. The light shade of gold looks good against the complexion. 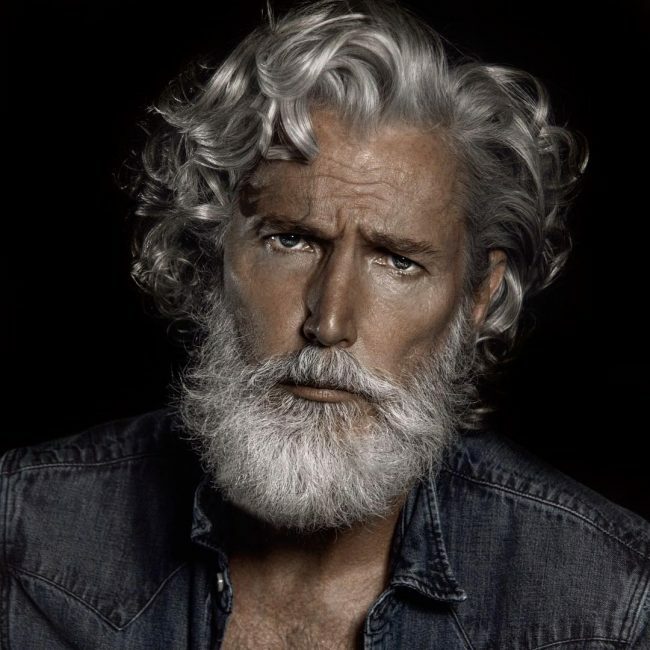 A white beard with platinum curly locks is the way to go all macho and suave. The shade of platinum looks great against the tanned skin and the mustache adds a steely look to the style. The hair,mustache, and beard are all in shades of gold in this look. 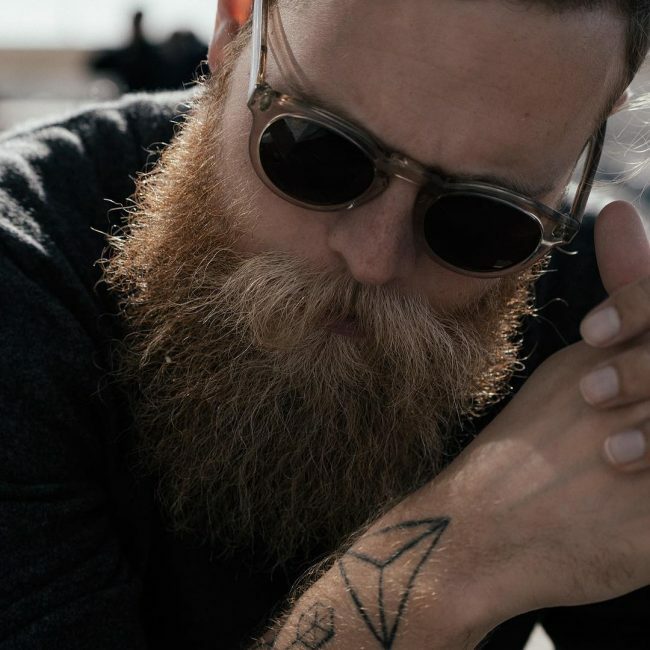 The gradient shading of light brown and dark brown in the beard looks hip and trendy. The bronze shade looks great against a slightly fair skin. Frizzy beard combined with muscles and tattoos bring the inner wild child in him to the surface. 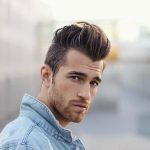 The short well-maintained beard combined with long backcombed hair looks exceptionally good on people who like to experiment with their hair. The dark brown shade completes all skin tones. The highlights of light gold against a dark brown beard look striking. The full beard and mustache look is great for all beard lovers. combine it with trimmed hair to make the look even more appealing. This godly look is created using Shades of gold and platinum on the beard and hair. 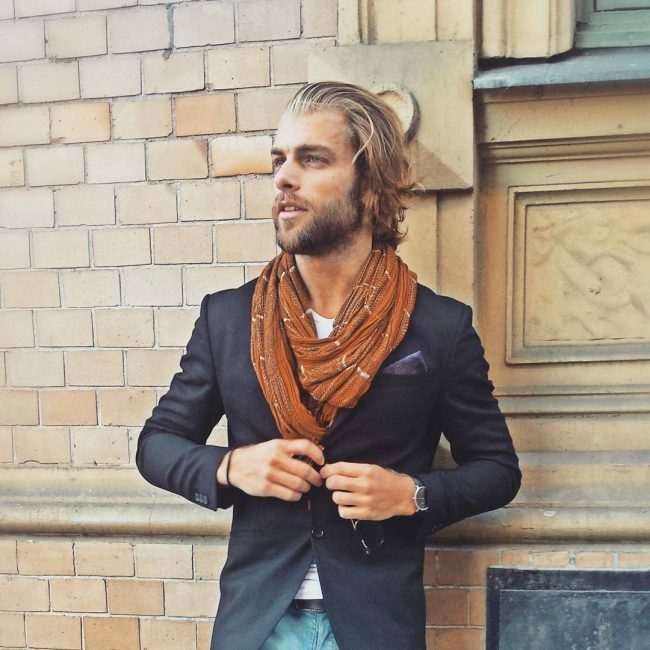 The long hair adds a contrast to the short curly beard and makes it look dashing. The short hair and trimmed beard in blonde shades make this look appear chiseled and gorgeous. 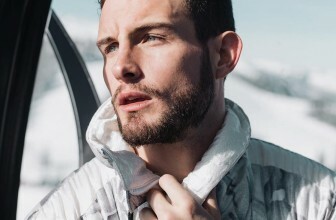 The pale beard provides a good structure to the face and the dark sides make the look appear ombre. 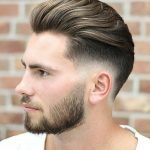 The trimmed undercut with Naturally brown wavy beard gives this look an edgy feel. The trimmed hair make the style look sharp and well-maintained. 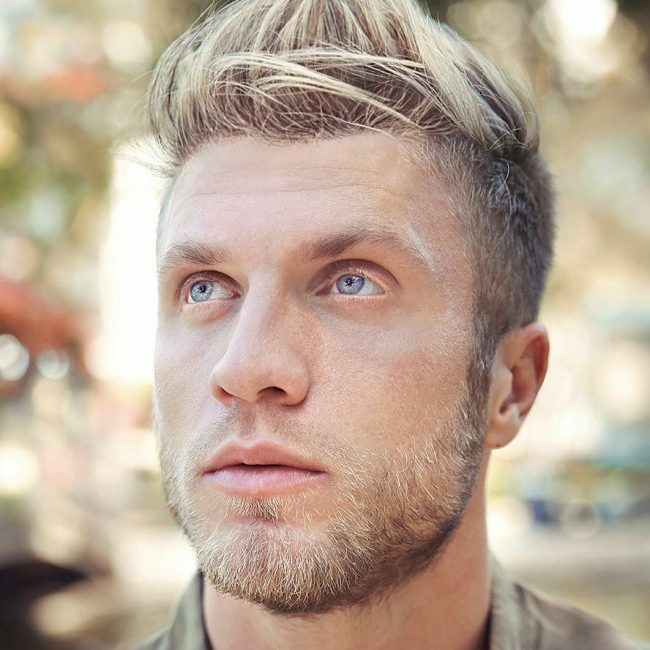 Shaded hair with dark roots and a blonde beard in shades of golden make this style appear fresh and raw. The wild appeal of this look is perfect for finding your raw charm. The extremely short beard in shades of brown is complementing the mohawk hairstyle very well. Shades of platinum add a finesse to the look. 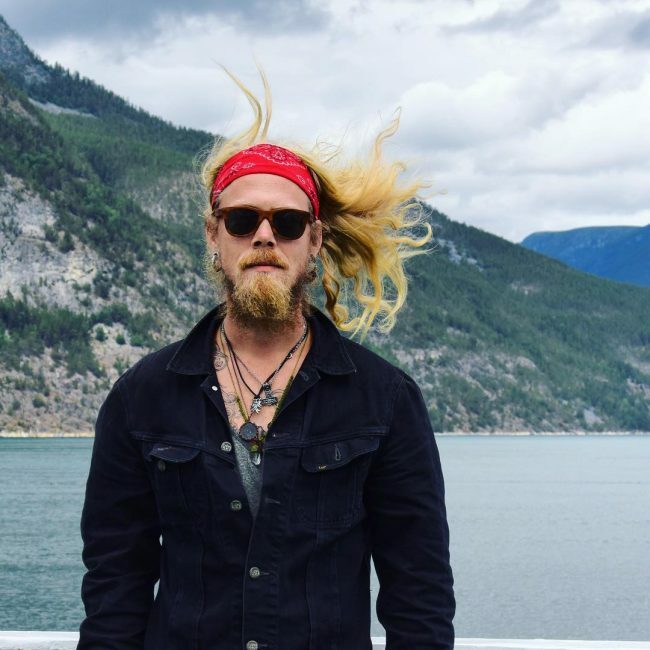 The long golden hair with a messy shaded beard is the perfect way to go if you are a wild child at heart. The matching mustache is adding all the more ruggedness to the look. 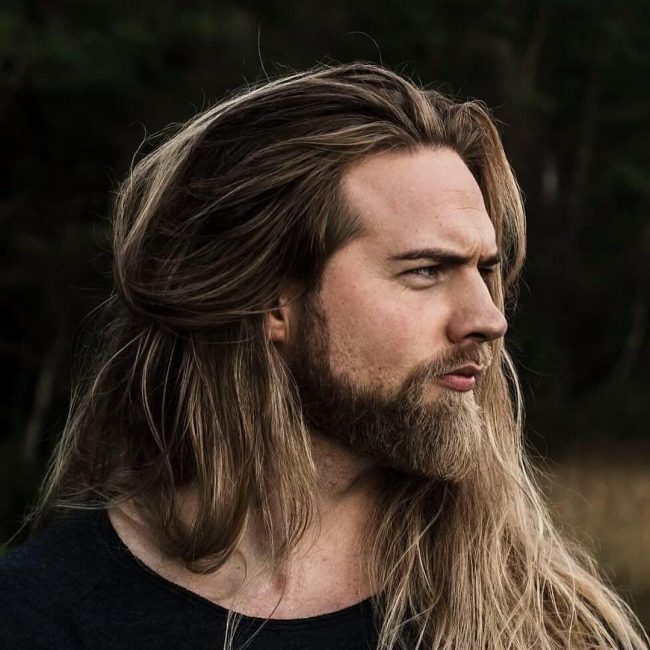 The mid-length hair and full beard make this style look pleasant on the eye and the soft golden shade add subtlety to the face. 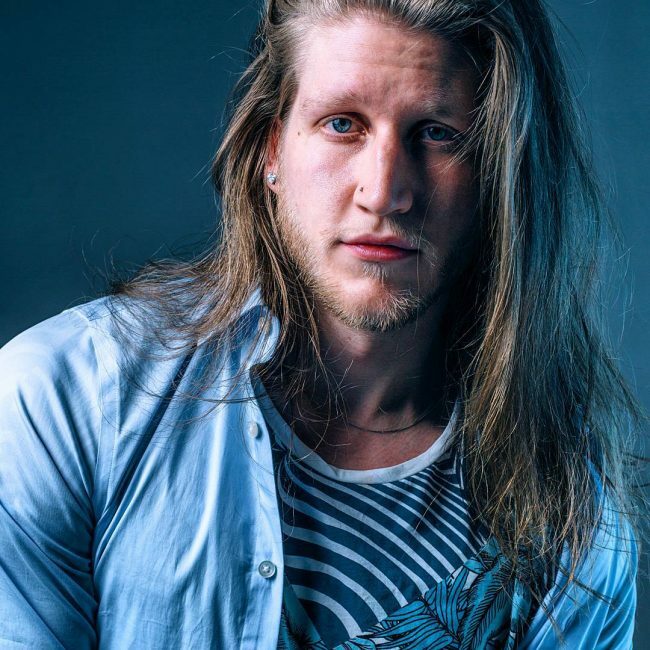 The look is perfect for working men who like to sport long hair. 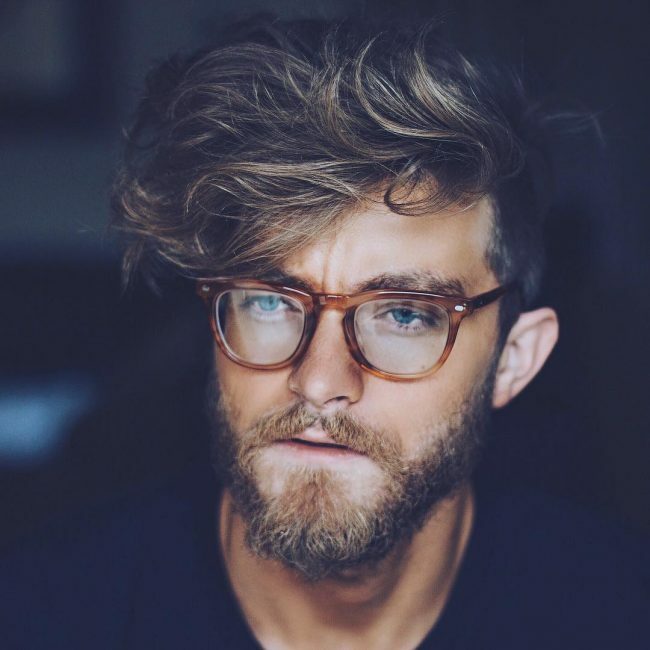 The blonde colored beard with dark gold highlights looks good on the tanned skin and makes the style look chic and classy. 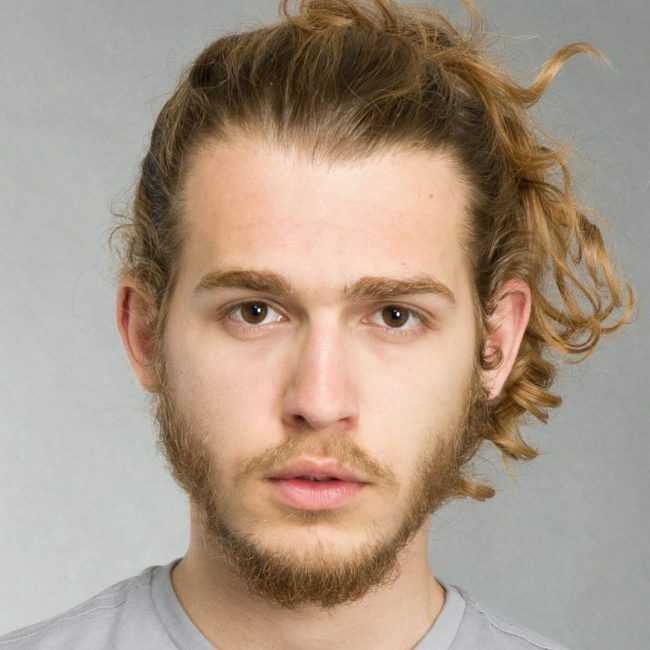 The lightly gelled side swept hair complement the long beard and mustache. 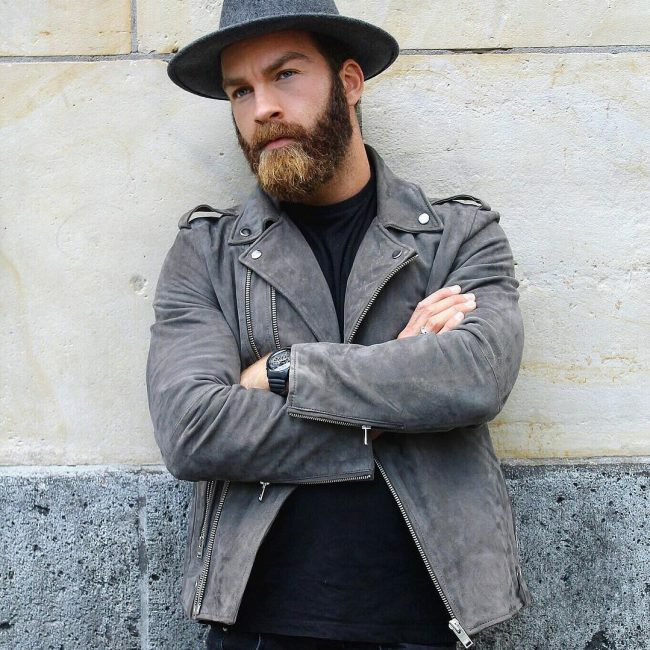 The perfectly combed beard gives an edgy appeal to the style. 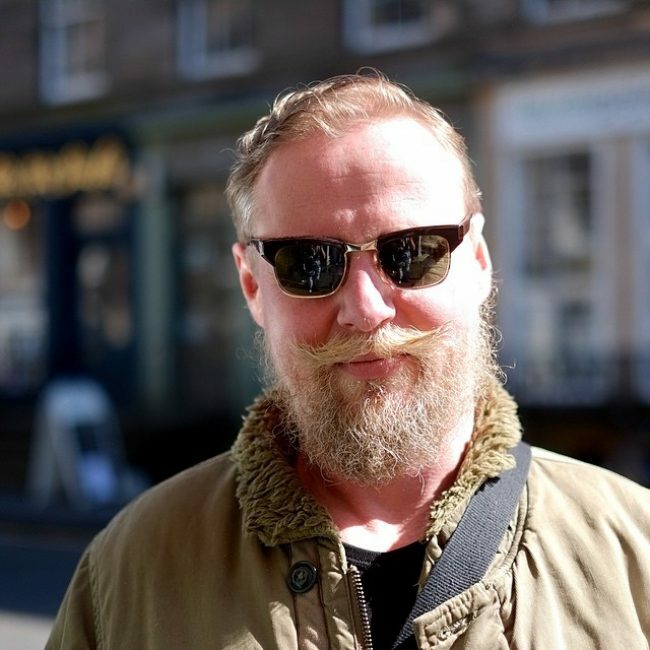 Bring you inner biker to the surface by growing your mustache and beard in blonde shades. The lightly colored mustache and dark lowlights create a contrasting effect. Add a few piercings and tattoos to complete this look. 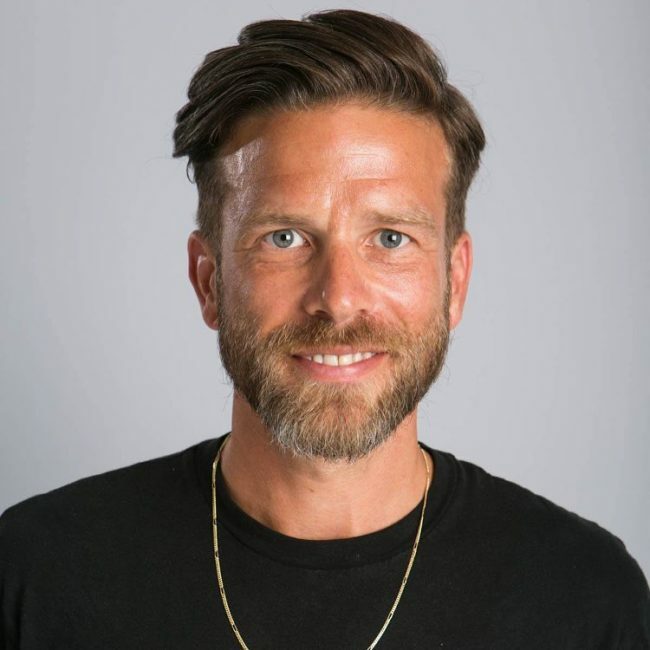 The roots of hair and beard are darker and the top portions are lighter to create an ombre effect. The honey shades add a gentle feel to the look. The long waves like hair in shades of light brown and platinum highlights in the beard make this style look striking against the pale skin. The blow-dried hair bring a very creative appeal to the look. The long wavy hair and the full beard in ginger shades look dashing and manly. The gold highlights add a touch of shine to the hair. 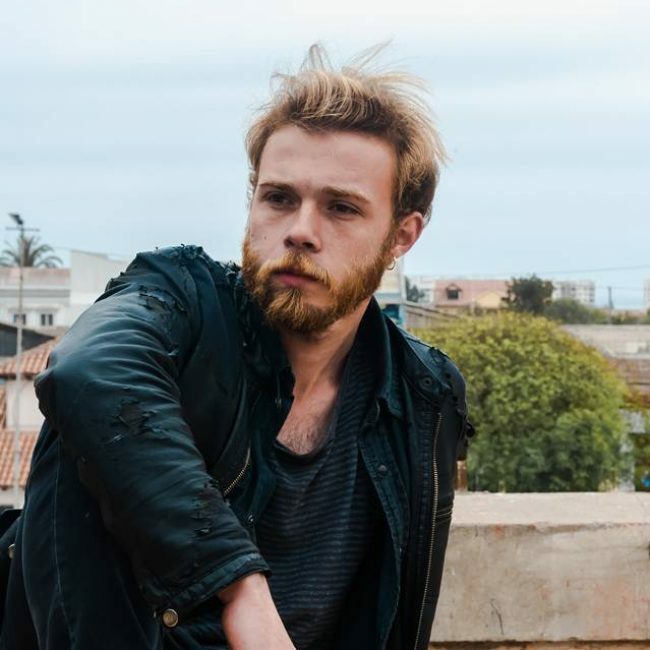 Unkempt hair with beard oozes raw appeal. 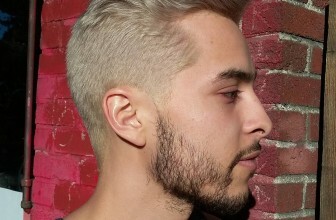 The pale beard looks really good with the gold hair and the whole style is perfect against that healthy skin. The raw haircut provides a structured mess appeal to the look. The various lengths of hair add a drama to the style. If you want to look ahead of your time, this is the perfect style to try. The light gray beard with subtle hints of dark gray looks good. The curled hair add a cool factor to the whole look. Choose a mix of brown and platinum to highlight your features. This looks creates depth with layering these two shades. The dark brown color gives a subtle contrast against the honey skin tone. Add a few accessories to make this look even more casual and fun. The long hair and messy beard in shades of platinum look dramatic and fierce at the same time. 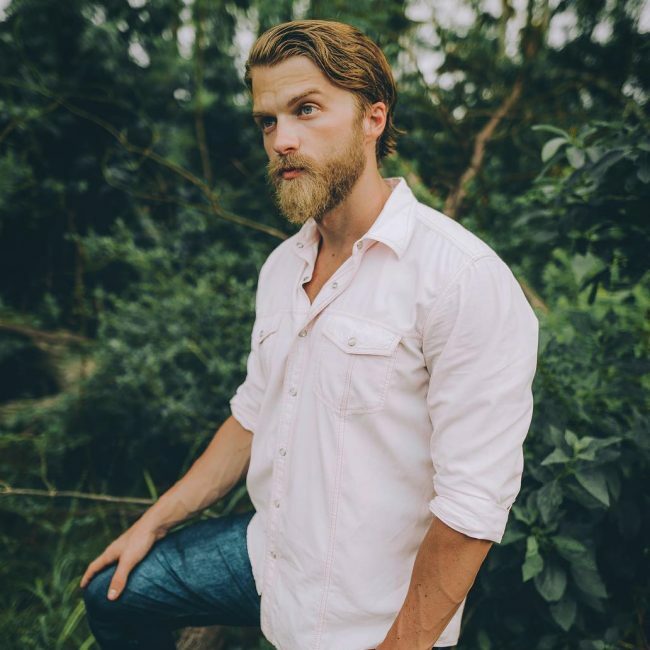 The length of the beard is suiting the long hair and the mustache adds an edginess to the style. Throw in a rugged vest and complete your Bohemian look. The tanned skin with honey brown blonde beard looks good in this style. The wavy gelled hair make the style look even more powerful yet simple and elegant. This look is plain yet effective. Trim the beard regularly to maintain this look. Using a hair gel will enhance the clean lines of the hairstyle. The dramatic hair with a small chin beard and subtle hints of a mustache look glamorous and macho. The platinum tones with darker roots look good on the skin. The dark blue eyes perfectly complement the look. The sheer beard looks much better than a full beard with that length of hair. 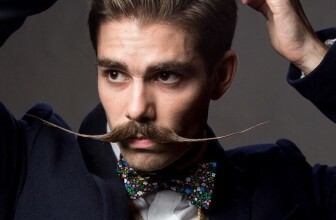 The perfectly curved mustache and frizzy beard in golden shade looks clean and classy. The short hairstyle adds to the neatness of the look and makes it look even more appealing. 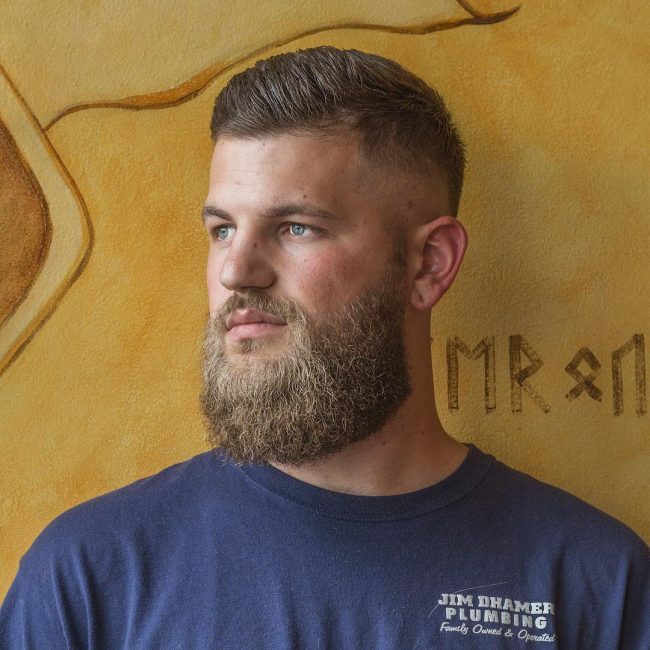 The curly beard is perfect for men who like to keep a medium length beard. Keep the hair well set to avoid looking shabby. 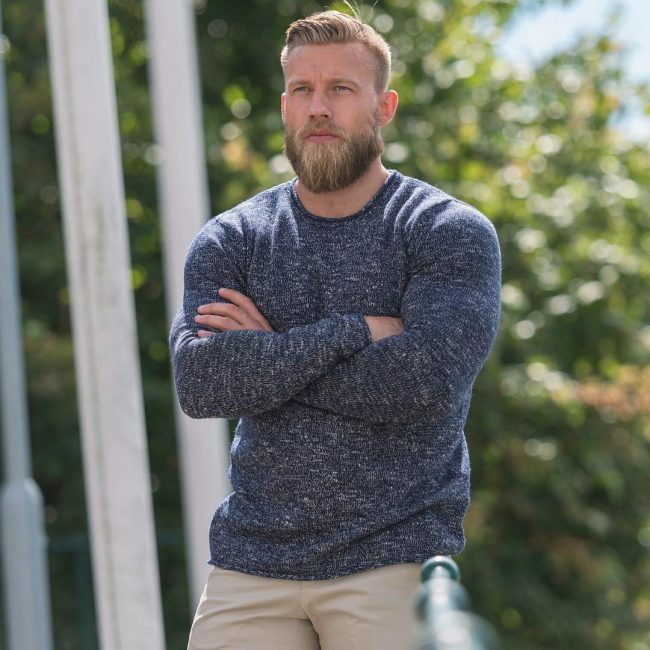 The bright gold beard makes this look perfect for men who love warmer tones. 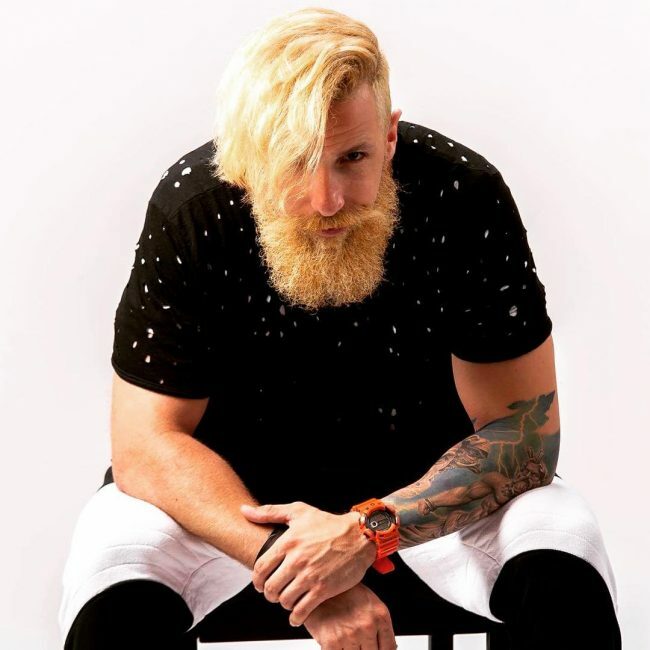 Now that you have seen all styles of blonde beards, it is important to know which style will suit your personality. It might happen that a certain style might not look good on your face structure. Customize the styles according to your skin tone and experiment with colors and lengths to see what looks good on your face. Make use of the temporary nature of bleaching to try different styles and redo it if you don’t like it. Blonde colors like platinum, gold, silver, and white look great on almost all skin tones. Highlights and lowlights are the way to go if you are looking for an ombre effect. 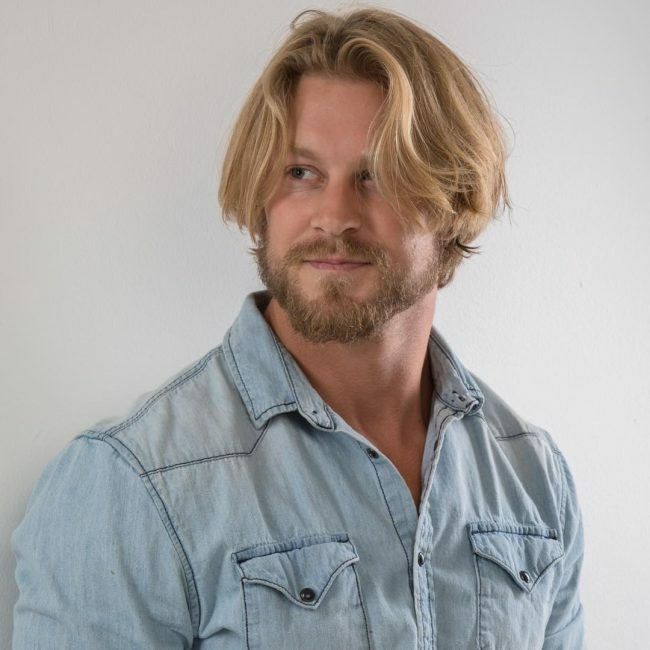 Blonde hair looks great and the same applies to beard too. Use your imagination and create a style which people will envy.